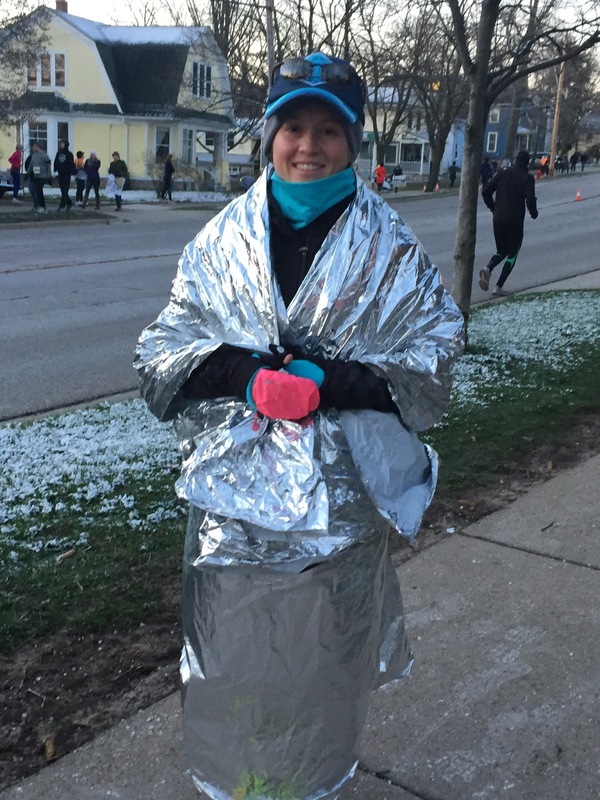 Well this was certainly a cold race, but it is Michigan after-all! 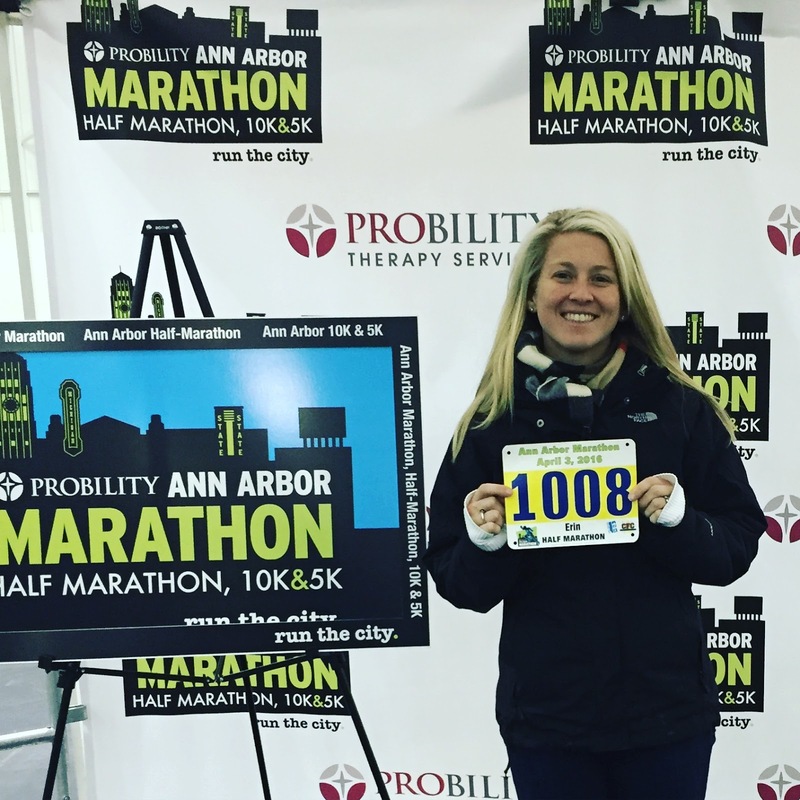 The course was rolling with a combination of trails, running through downtown Ann Arbor, and the University of Michigan campus. The race was run rather well and stocked with aid stations given the cold weather but I have my comments. So for starters, the expo was very plain, it did not have much to offer for runners in terms of buying last minute gear or in our case hand warmers. There were random stores, non profit booths and other race booths. I have to say I was overall disappointed with the expo, the location being on the University of Michigan campus in the track and field gym was cool but they should really step it up. The shirts they handed out were long sleeve and soft which was nice, but not moisture wicking. After the expo, mom and I headed over to the very famous Zingerman’s Deli and boy is it famous. The restaurant was packed, there was a line to get in the door and it took about an hour to get my food. They had a lot of other options including pastries, desserts, coffee, tea, cheese, meats, breads… It was AMAZING. The food was delicious and definitely somewhere you should visit. Mom wanted to go to the Grand Traverse Pie Company so we made our way over there to grab some dessert. Mom went to school in Michigan so it was funny visiting her old stomping grounds. Once we went to packet pickup and lunch, it was time to check into the hotel. The hotel was wonderful, everyone there was very nice and the best part was its location. If you are visiting from out of town, I recommend staying where we did at the Residence Inn Marriott. 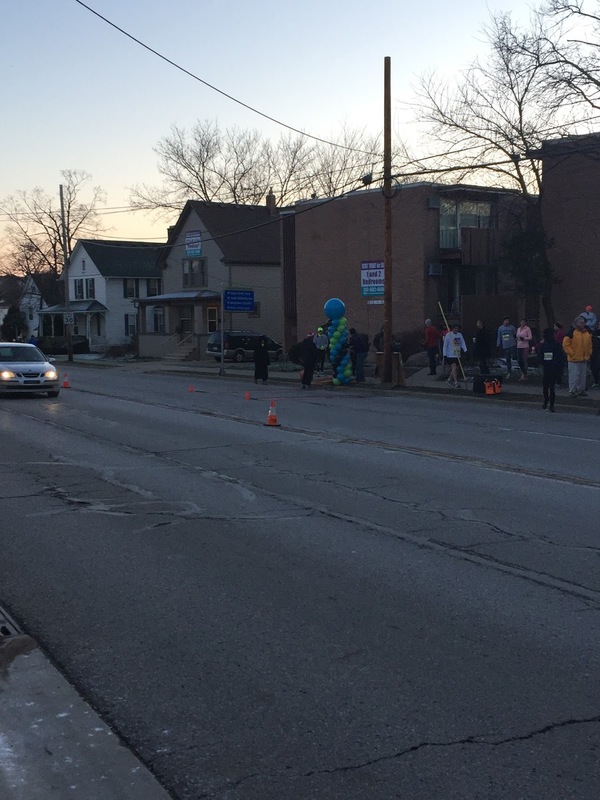 On the Ann Arbor Marathon website it says it is 4 miles away when in fact it is two blocks from the finish and 1 mile from the start. I would personally rather stay closer to the finish than the start line. It is also a lovely hotel, suite style and I was very happy staying there, in downtown Ann Arbor. There was also free wifi :). The bonus to being in this area, was the running store a few blocks away. We needed to get a pack of hand warmers for mom so we stopped by Running Fit. It was a great local running store and somewhere to visit for your running needs. The guys there are very knowledgable. Mom got herself some shoes on sale and I picked up a pair to wear walking around (my old ones died). Afterwards, we headed back to the hotel and rested. I was fine with staying in as it was cold, snowing and windy out. We prepared our clothes for the morning, ordered some Chinese, watched a movie and went to bed. The next morning, we woke up, it was a balmy 21 degrees outside, but at least the wind died down. We got dressed and headed down to the start line which was a 15-20 minute walk. We definitely looked like odd balls with our heat sheets but I didn’t care, it helped us stay warm. When we got to the start line, we didn’t actually realize it was the start as the road was still open to traffic and there wasn’t any large markers except for small balloon display. 7:24 rolled around and then we started to see more people show up. They must have been at bag check by The Big House (football stadium). The race began with a gunshot I think at 7:35, and we were off. It was very quick and there wasn’t a National Anthem. 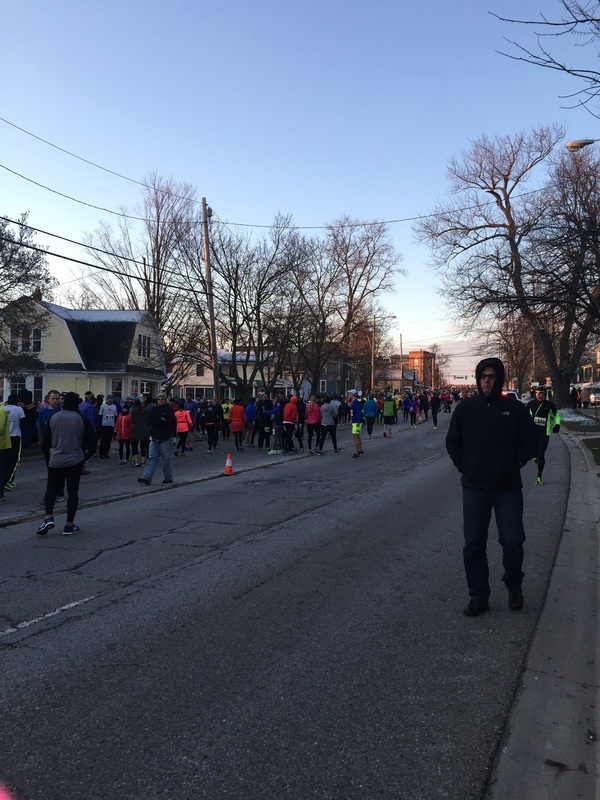 We started off by running up Main street, through the downtown area and then headed off to the University of Michigan campus, through neighborhoods and some random parks. The one side of the road was closed to traffic unless it was a main thoroughfare. Then it was onto the sidewalks or trails for us. The water on the ground froze over so we had to be careful on the ice. The course then took you through a park, next to the hospital and through a wooded area before popping us back to the beginning of the run course. 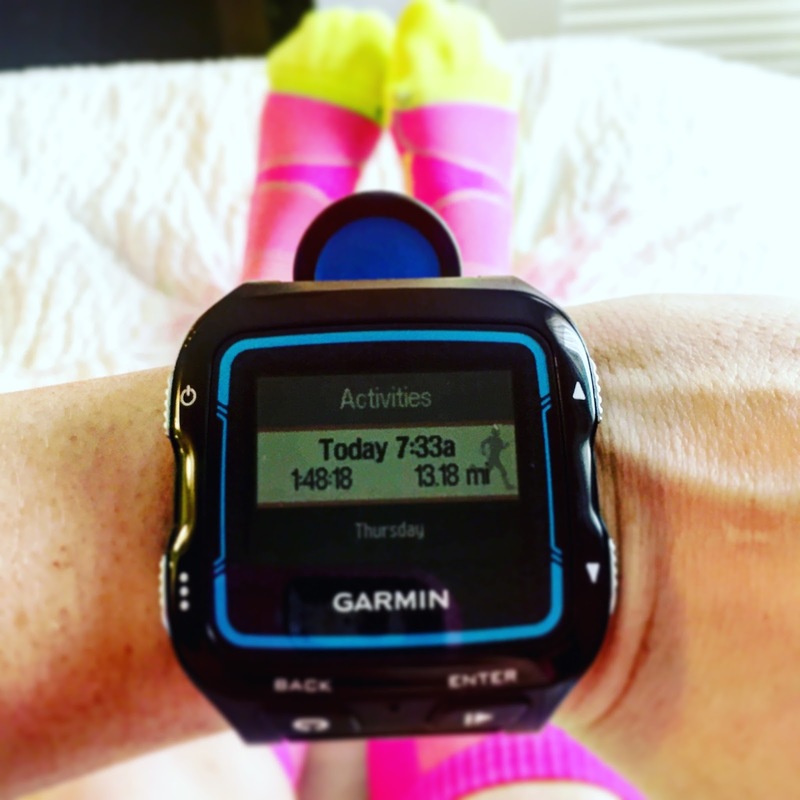 If you were doing the marathon, you had to run the course twice. Now, I was very disappointed with the food selection. There were bananas, brownies, pizza, wraps you buy at the grocery store and water. I saw no Gatorade or heat sheets. When we walked back later to grab some coffee, we then saw runners with heat sheets. So I don’t know if they were at the finish line when I ran by or if they were only for the marathoners but I was pissed. That and mom said when she finished, there was barely any food left. So race organizers, I would prepare better for the finish line next year. The medal was ok, nothing spectacular, but it had a nice design of the Ann Arbor skyline. Overall, this was a nice race, not my favorite and for being a few years in, definitely has some improvements to make. 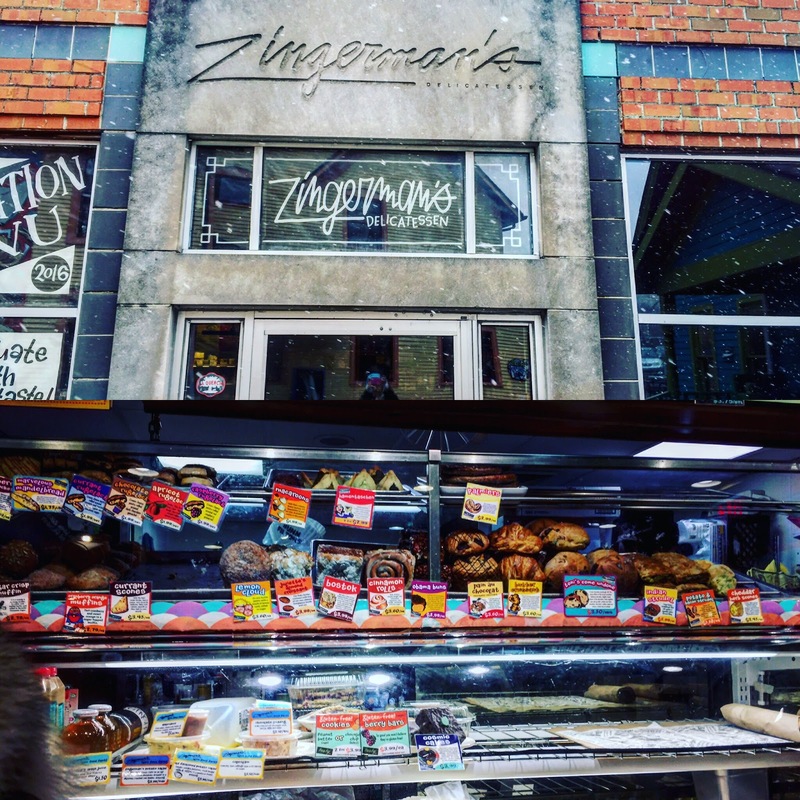 Perks…: Zingerman’s Deli, the course. 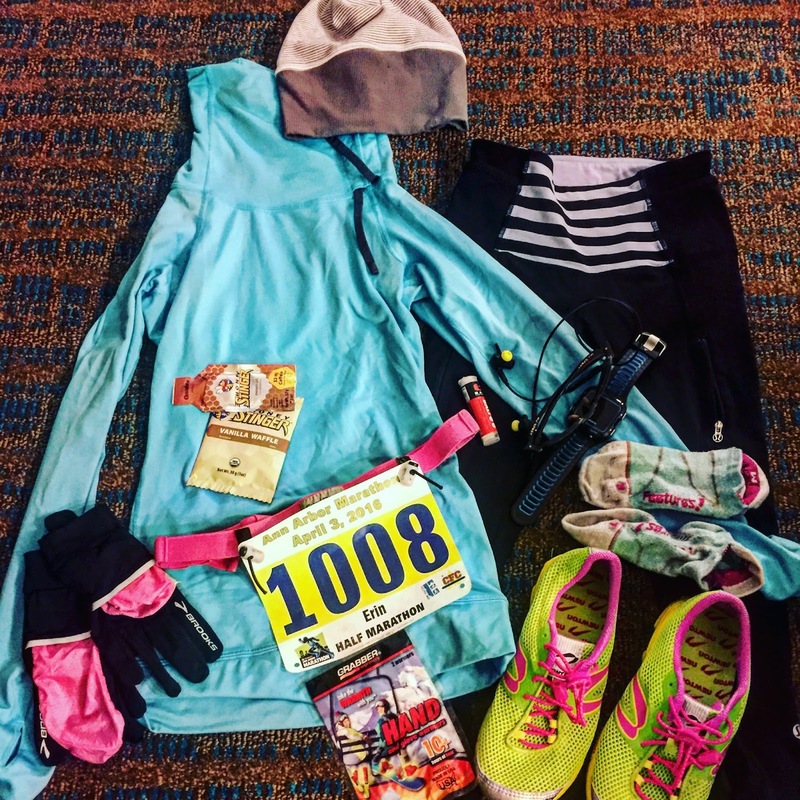 Ehh… Not a Fan: The expo, post-race food, no heat sheets, race shirt.